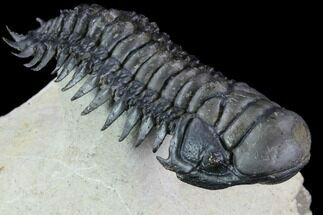 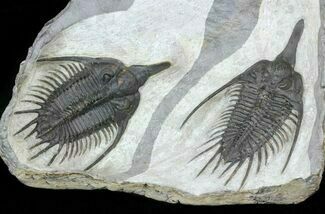 This has got to be one of the most visually stunning trilobites in the world, a large Quadrops flexuosa. 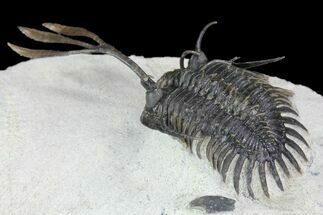 This bizarre trilobite has a distinctive four-forked protrusion coming off of the front of it's head which is where the genus gets it's name. 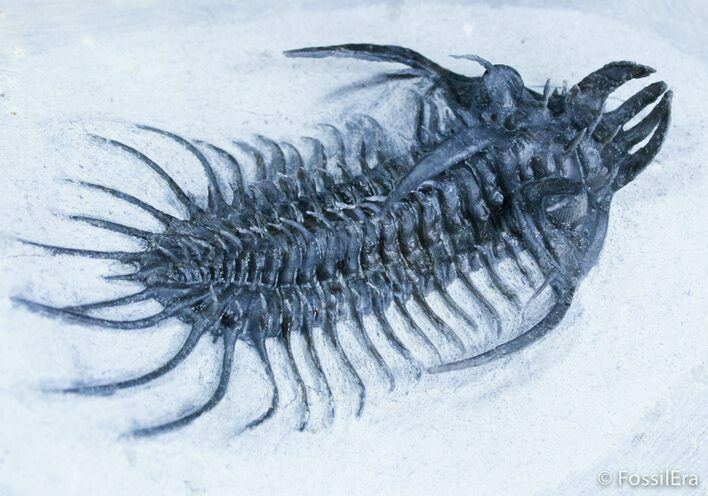 It also has nearly 50 free standing spines that have individually been prepared free of the hard surrounding matrix. 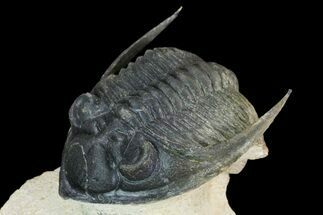 This trilobite is not just rare to find, but possibly the most time consuming one from Morocco to prepare. 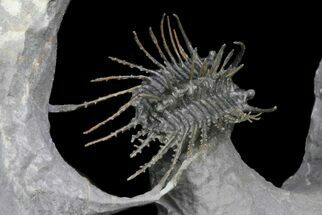 The preparation of this of this trilobite easily took over 60 hours of work. 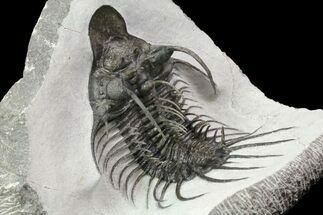 I put several hours into it myself doing some of the final cleanup work to remove some remaining matrix from around spines and between segments. 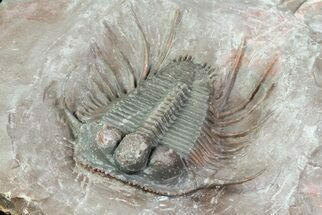 The ONLY restoration work on this trilobite is some minor touchups of surface scratches and dings from preparation which I did performed myself. 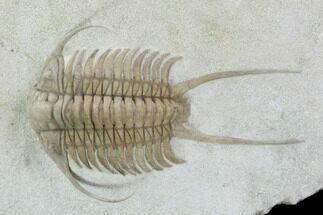 You certainly can't say this about most specimens of this species. 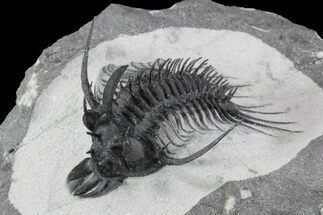 This species has often been referred to as a Philonyx in the past.